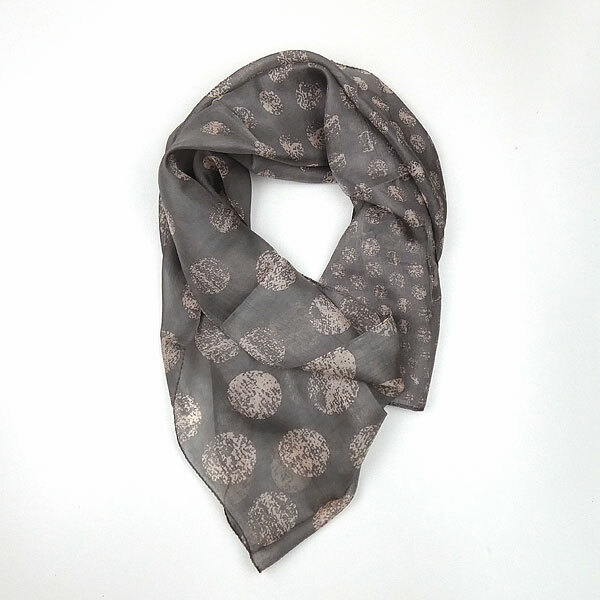 A very attractive silk scarf in a soft grey with a soft pink dot design, which will complement many outfits. The pink of the spots is very subtle and, being overlaid with grey markings, has a gentle contrast to the grey. The scarf is very light and soft and, being narrow and long, can be wrapped or tied in a number of fetching ways. Silk is so lovely to wear, perfect for any outfit and light to wear, but with a warmth on chilly days. 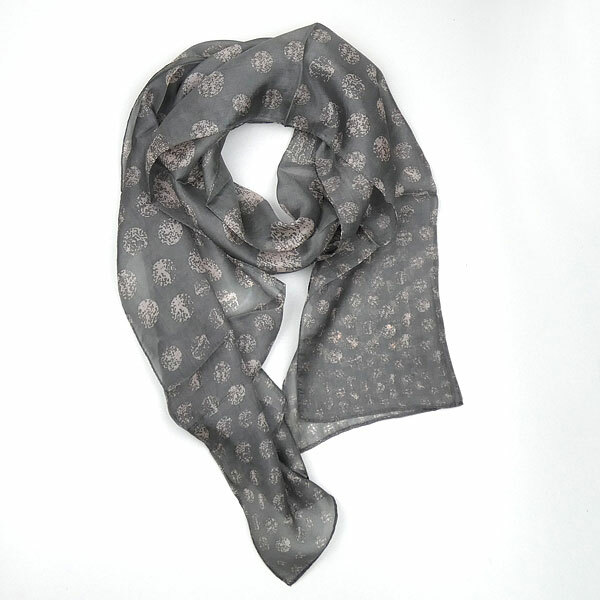 Material of scarf: 100% silk.